When a horse is running or trotting, do all four hooves ever leave the ground at the same time? California Governor Leland Stanford offered landscape photographer Eadweard Muybridge $25,000 in 1872 to answer this question. 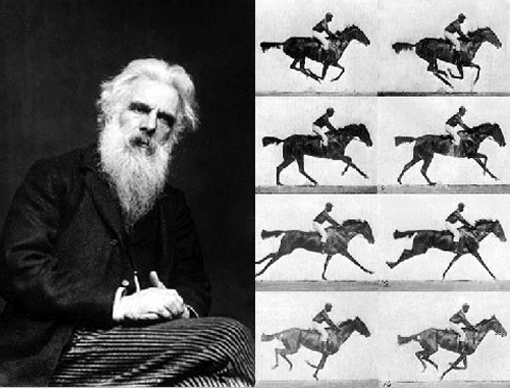 Muybridge invented a fast shutter mechanism that relied on a small piece of wood with a hole drilled into it that slid past the lens. The wood was positioned such that a pin held it in place covering the lens. When the pin was removed, gravity would cause the wood to drop and as the hole moved past the lens, the film was exposed for a fraction of a second. He then used two pieces of wood and slipped them past each other so quickly that he had achieved an exposure time of about 1/500th of a second. Over time he would get it down to an exposure time to less than 1/2000th of a second. In 1878, he finally achieved his results with a sequence of 12 images that clearly showed that all four of the horse’s hooves were off the ground at the same time. Later on he would invent a device with counter-rotating discs that projected the images sequentially called a Zoöpraxiscope. When I was a kid, I wanted to be an astronaut. This was one of my favorite photographs when I was growing up. I think what drew me to it was the clarity and detail of it. You can see the footprints in the background. Cameras have come a long way since then, but it’s still amazing to me to see that we were able to take such great photos back then. Medium format camera are larger than 35mm cameras and use paper-backed or paper-leadered roll film. The most popular medium-format cameras produce negatives that are 2 1/4 X 2 1/4 inches, 6 X 7 cm, and 6 X 4.5 cm. The large negatives make stunningly sharp enlargements, full of detail. The 2 1/4 inch single-lens reflex (SLR) camera has a viewing system similar to the 35mm SLR reflex camera. As the name implies, these larger SLRs produce negatives that are 2 1/4 inches square. 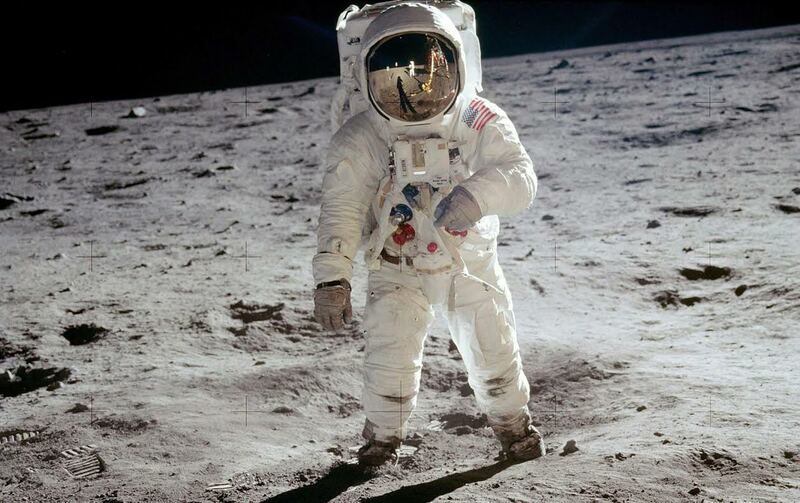 The Hasselblad was the the camera used by America’s astronauts when they visited the moon. 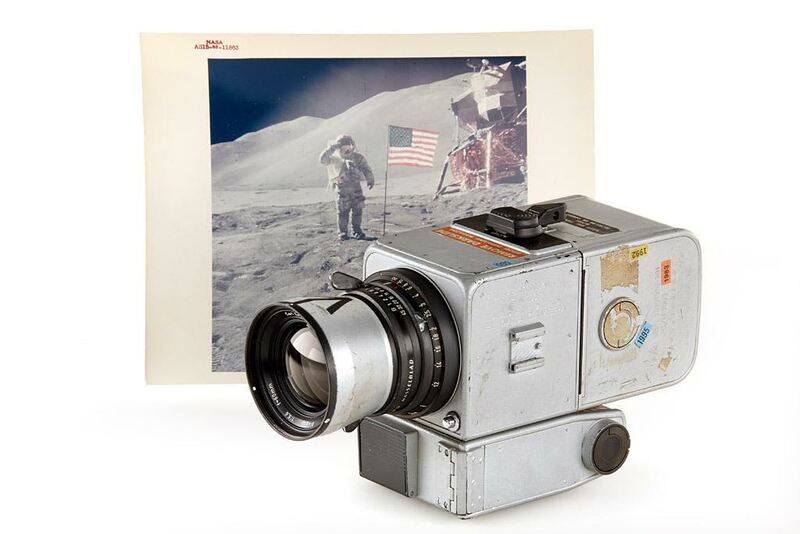 The Hasselblad wasn’t the first camera to reach the moon; that honor goes to the one Neil Armstrong took one with him on the 1969 mission. But it’s the only one to ever make it back. The rest were left behind due to their bulk and weight; the one below, which was used on the Apollo 15 mission in 1971, was lucky enough to make the return journey. For over seventy years now, Hasselblad has been devoted to a very simple task: to produce the finest camera equipment known to man. And for over seventy years, we have succeeded in doing just that. In making the tools that will enable us to live up to the Hasselblad brand proposition, “Create To Inspire”. 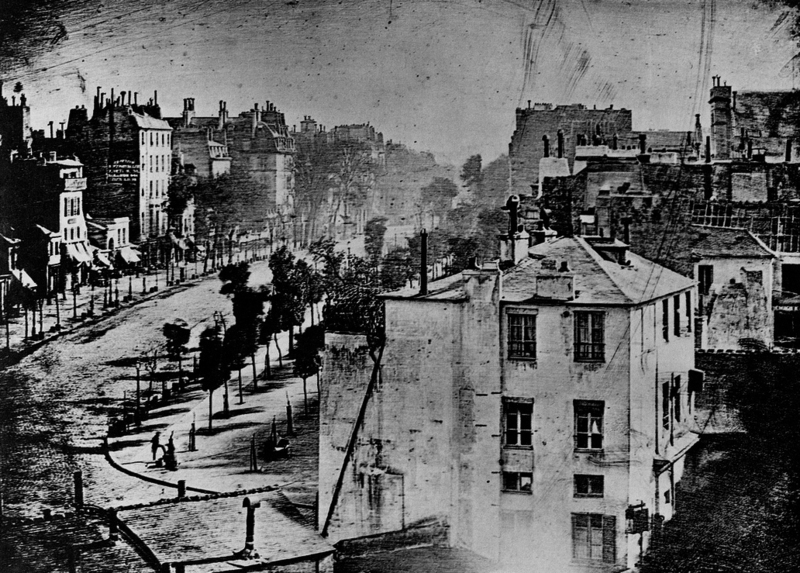 This is the first photo ever produced of a person (lower left) by Louis-Jacques-Mandé Daguerre in 1839 on a daguerreotype – a silver-plated sheet of copper. He did this with a wood box with a lens on one end that produces an image onto a frosted sheet of glass on the other end. He revealed this process and some of his images publicly on August 19, 1839 (my Birthday!). Most of his photos were of still-life subjects, but this long exposure photo captured a person near a road in Paris. It appears he is getting his shoe shined. 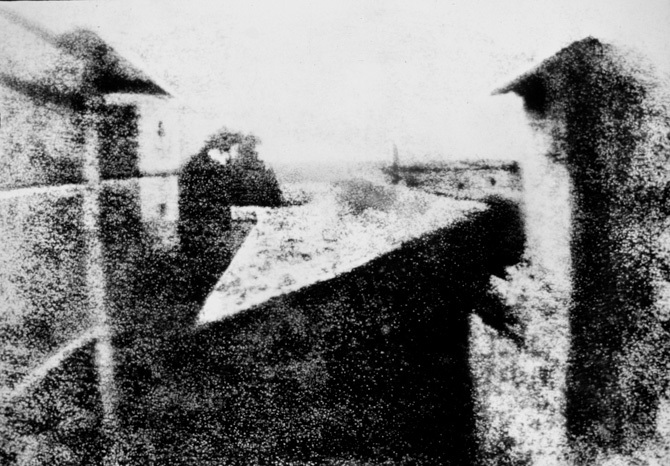 Below is the first ever photograph produced that is in existence today. It was made by Nicéphore Niépce in 1827 and is called Point de vue du Gras (View from the Window at Le Gras). Philip Mauro is an environmental photographer out of New York who shoots portraits of clients from all over the world. 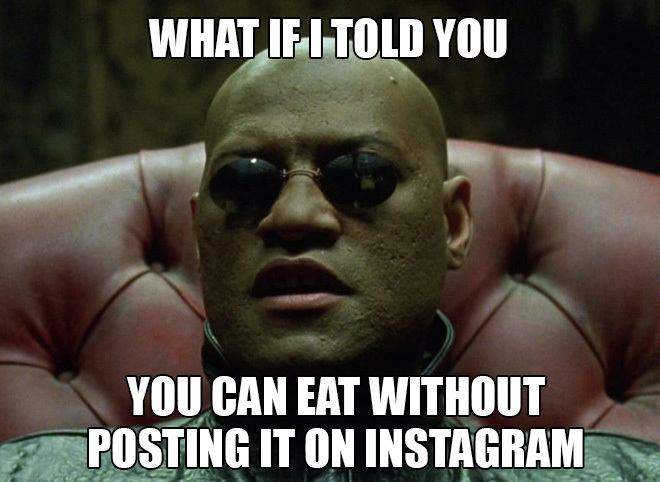 I really enjoy and have been inspired from some of his work. I like to showcase different photographers I learn about. Michael Doven is a graduate of the New York Institute of Photography and his photos are used in some of the lessons that are provided. He is currently a world renowned photographer and his work includes many films in Hollywood. Here are a couple videos showcasing his work.